I love road trips. They’re a great way to see small towns that you would’ve missed otherwise had you taken public transportation. A Utah road trip is an absolute must as 1) public transportation is virtually non-existent to all the best sites 2) there are many off-highway views that are photo worthy. There are 5 national parks in Utah and a whole lot more state parks. The big 5, often referred to as the Mighty 5, are all truly breathtaking. They include Zion, Bryce, Arches, Canyonlands and Capitol Reef. When we visited two years ago, we were able to make it to 3 out of 5. Canyonlands was on our itinerary but we ran out of time and had to skip it. 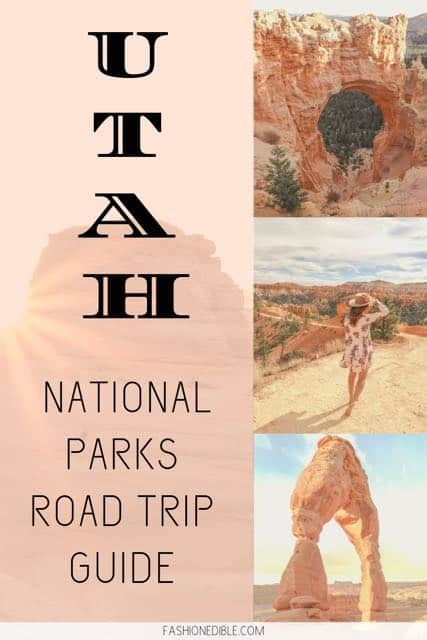 Each national park has something that makes it special and stand out from the others so if you have time, I think no Utah road trip itinerary would be complete without visiting all five national parks. The first step to planning out a Utah national parks road trip is to map out your destinations. Unless you live in Utah or are driving over from a neighboring state, more than likely you will fly into either Salt Lake City or Las Vegas and then rent a car. You can actually compare the maps below to see the distances traveled once your flight lands. Let’s assume you’ll be flying into SLC, the airport I would recommend. Once you get your rental car, you’ll want to pick up a few groceries to take along the road. A day into Utah and you’ll quickly realize that unless you’re in a city, you’re going to have a hard time finding food. There are a few rest stops along the highway so of course you can stop at any of those but I think it’s safer to just pick up food in case you get hungry and find yourself in the middle of nowhere. I did this on my road trip in Arizona and it saved me a lot of time and research while traveling. Besides that, this road trip is all about adventure and beautiful landscapes and not foodie-based destinations. 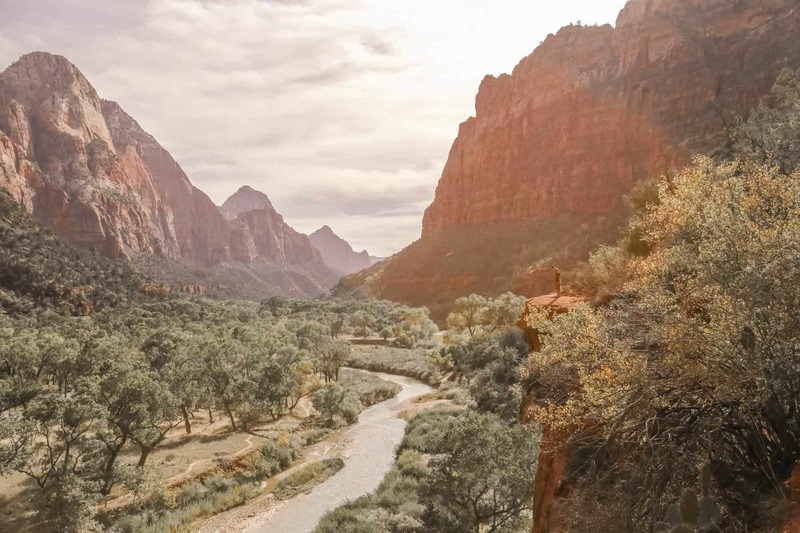 Starting off in Zion is a great way to kick off your road trip. 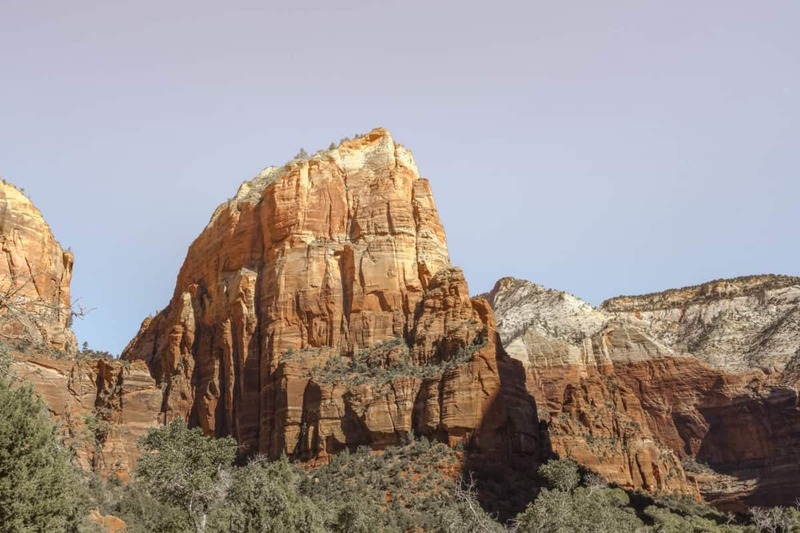 Zion has several famous hikes, some taking you behind waterfalls while the most daredevil hike of them all is a steep hike up the mountain combined with a slightly dangerous walk over rocks and boulders on the edge of a cliff. This well known hike is called Angel’s Landing. 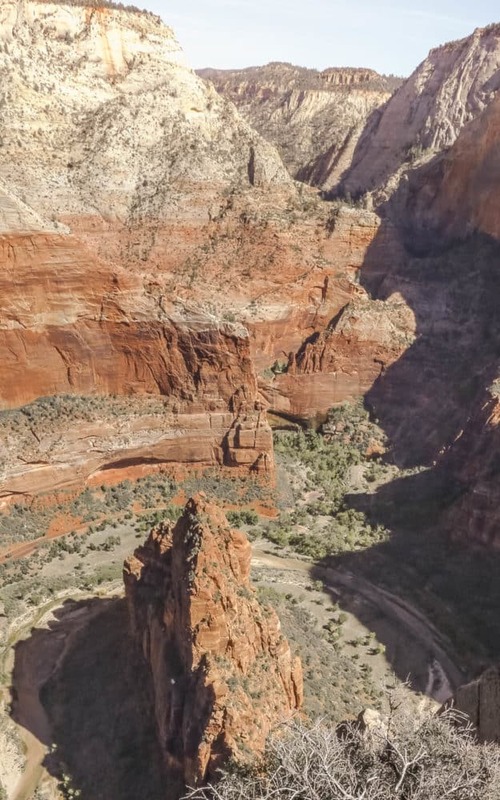 There are two parts to Angel’s Landing. The first “landing” is the more kid-friendly with a steep hike but no real danger. The second portion is steep as well but requires caution as it does have you walking on the edge of the cliff at times. I only found it really chilling two or three times but if you have an aversion to heights, you may have a more difficult time with it. However, the view at the top was well worth every drop of sweat and panicked moment to reach the top. 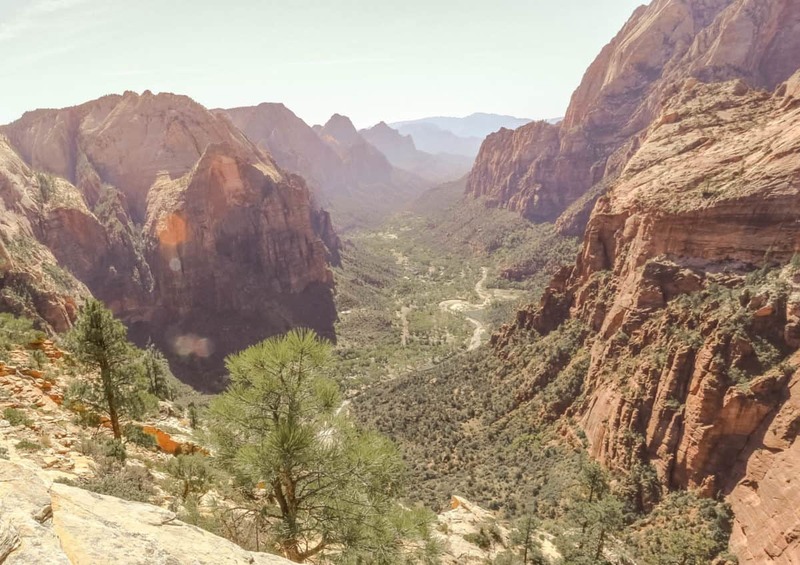 Angel’s Landing isn’t the only amazing hike at Zion, however. 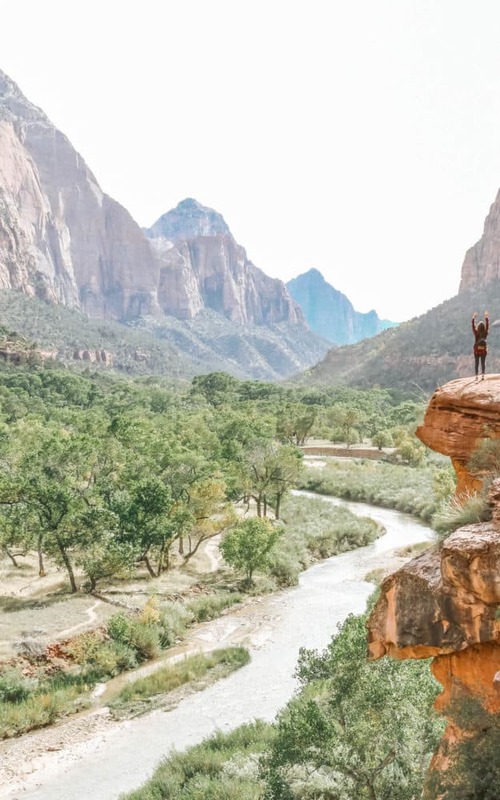 Hiking The Narrows, a trail that leads through a gorge, is another Zion National Park bucket list. This trail can only be hiked certain times of the year so do your research and plan accordingly. 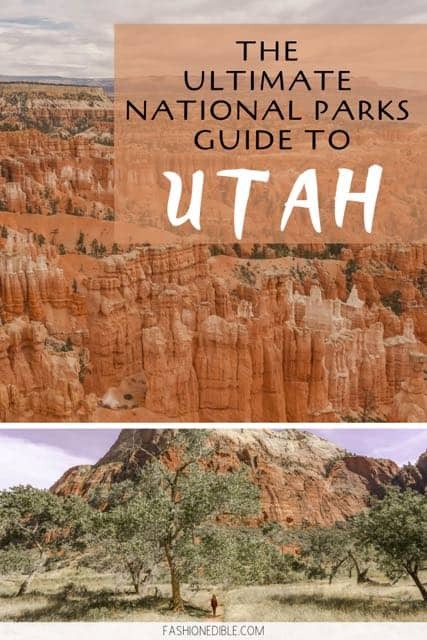 Make sure you check out this Utah hiking guide for more hiking throughout Utah! 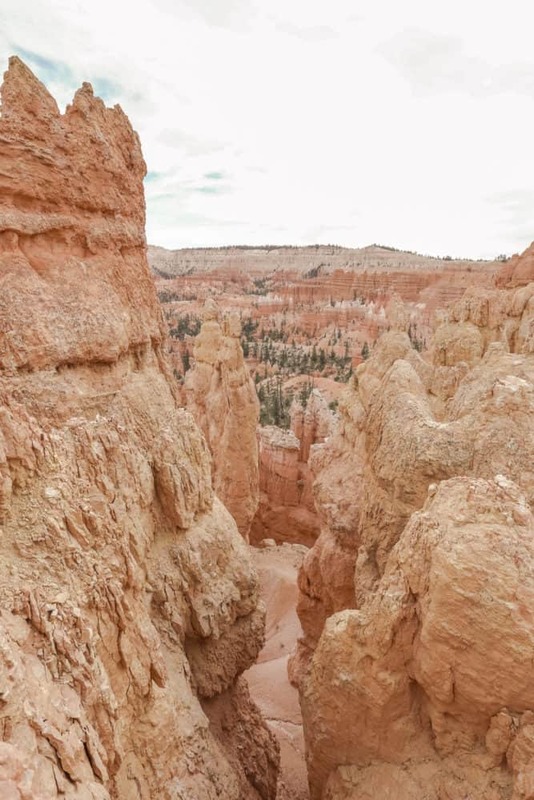 If you’ve heard the word “hoodoo,” then Bryce Canyon National Park may have been mentioned in that same conversation. I would say that the hoodoos are what set Bryce Canyon apart from all the other Utah National Parks. These hoodoos are quirky orange rock formations that rise up from the ground. They form the most amazing clusters that are best viewed from above. However, you can also hike between them as this national park offers several different trails. 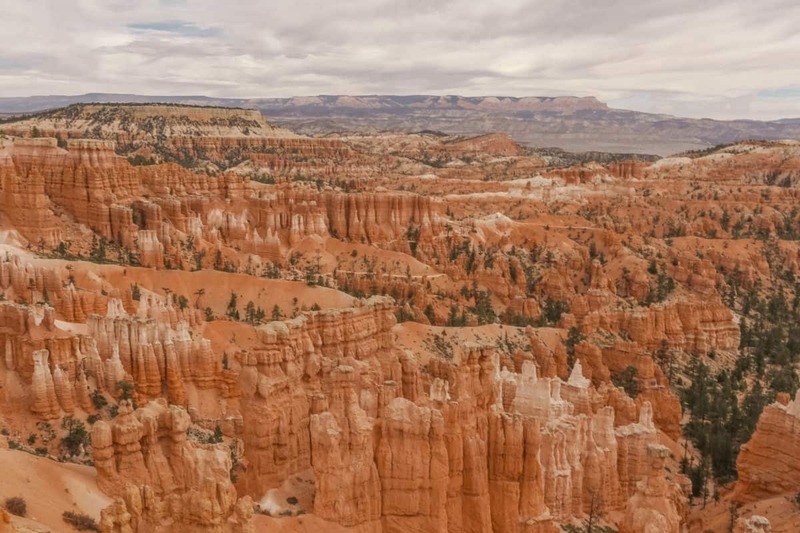 The sheer magnitude of Bryce Canyon can be seen in the photos below. 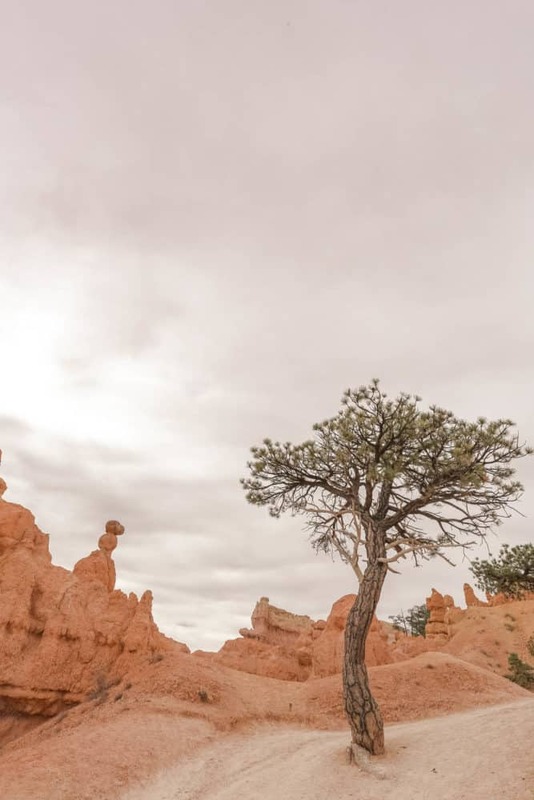 The park has over 30 trails to choose from but I would highly recommend the Navajo Loop and Queen’s Garden Trail as it takes you to the most important and scenic spots on a very moderately strenuous trail. Capitol Reef National Park, located in Torrey Utah, has over 40 trails to choose from (according to All Trails). 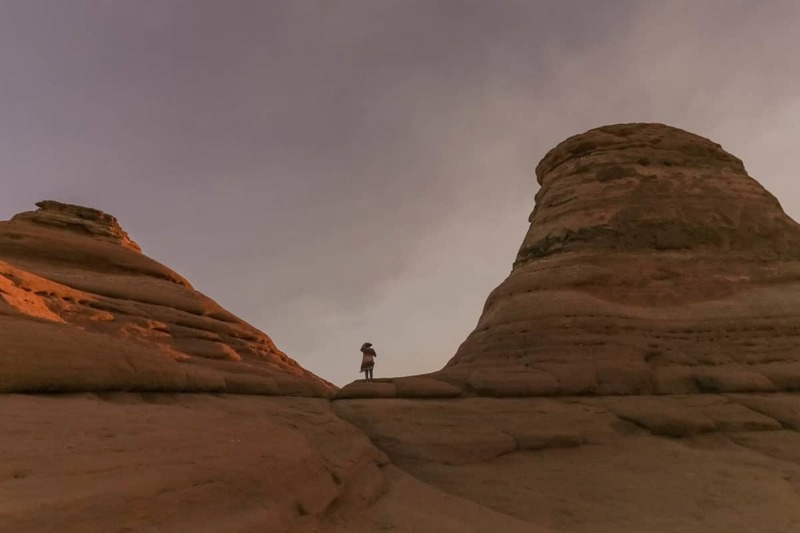 It’s best known for its domes of white Navajo sandstone. A few highlights and sites to visit here are Hickman Bridge, Cassidy Arch and Chimney Rock. 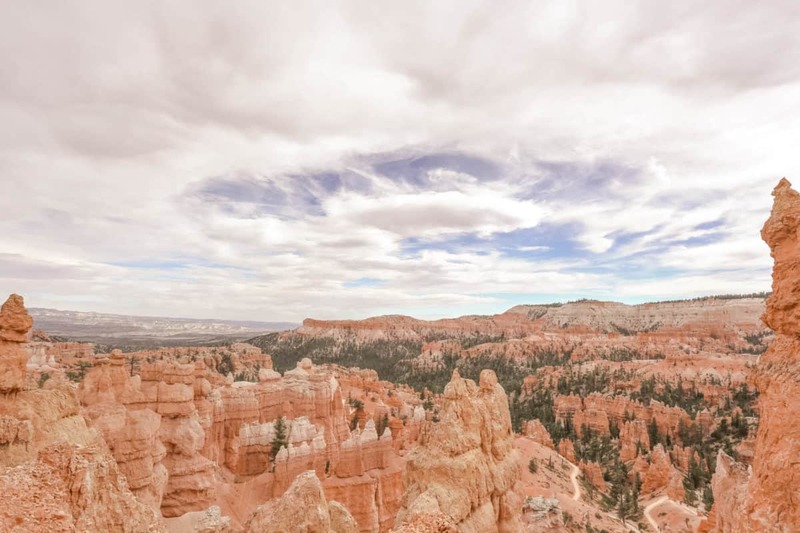 This national park is located between Bryce Canyon and Arches and Canyonlands. All Trails lists 66 possible trails to hike in Canyonlands. I’m not sure how accurate that is and I’m sure that some of those trails are small sections of larger trails. Regardless, there is plenty of hiking in this park. The most important hike and the most photographed is Mesa Arch, the gorgeous arch with the sun usually peeking through underneath. The best time to visit this arch is sunrise as it makes for the best photos. Hiking this trail only takes minutes as it’s half a mile; the trail is also rated easy. 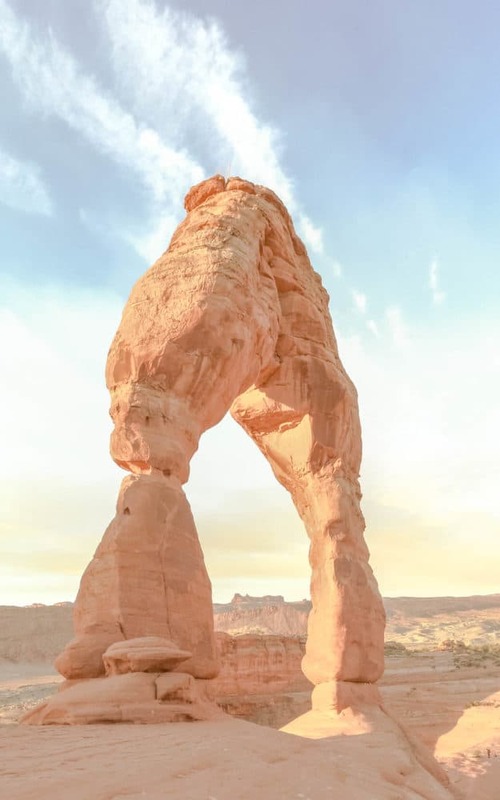 You can’t visit Utah without visiting Arches National Park. This was one possibly my favorite park. I would recommend coming to Arches early. 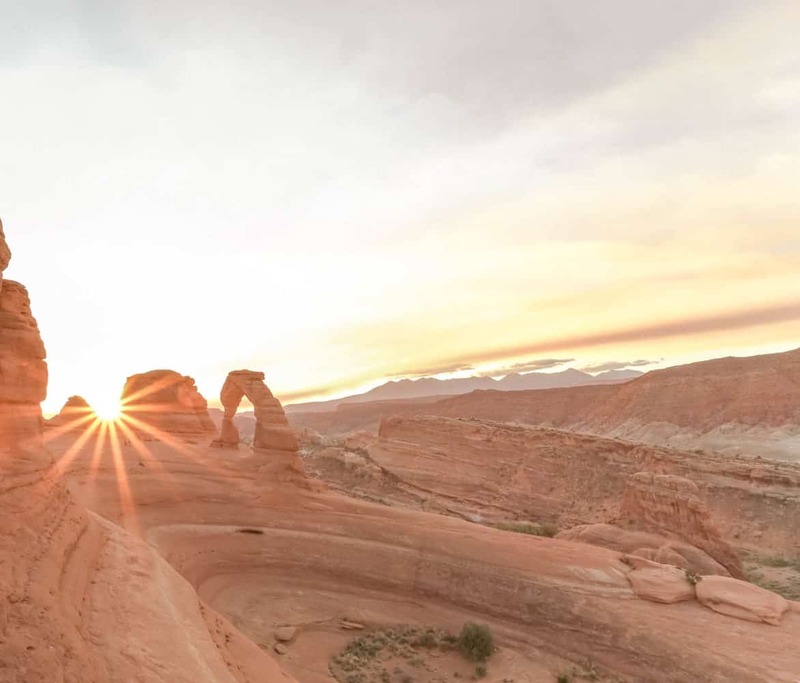 Plan to get here before sunrise and to hike the Delicate Arch trail while it’s still dark so you can watch the sun rise from the arch. This natural monument is spectacular and who knows how long it will remain standing so I’d highly recommend a visit soon. The trail to get to Delicate Arch isn’t strenuous but I wouldn’t say it’s a walk in the park either. No pun intended. All Trails rates its 2.9 miles as moderate. If you’re hiking in the dark, come with a flashlight, water and a jacket. It gets windy at the top so you’ll want to protect yourself. By coming here early, we were able to avoid most of the crowds, though we did see at least 15 people for sunrise in October. If you’re hiking in summer, I’d definitely recommend either an early morning hike or a late afternoon hike as there is basically no shade throughout the entire hike. Once you’re finished hiking Arches and you’re fairly fit, I’d recommend hiking Devil’s Garden Loop Trail. It takes 7.5 miles to complete the trail but it’s well worth it. 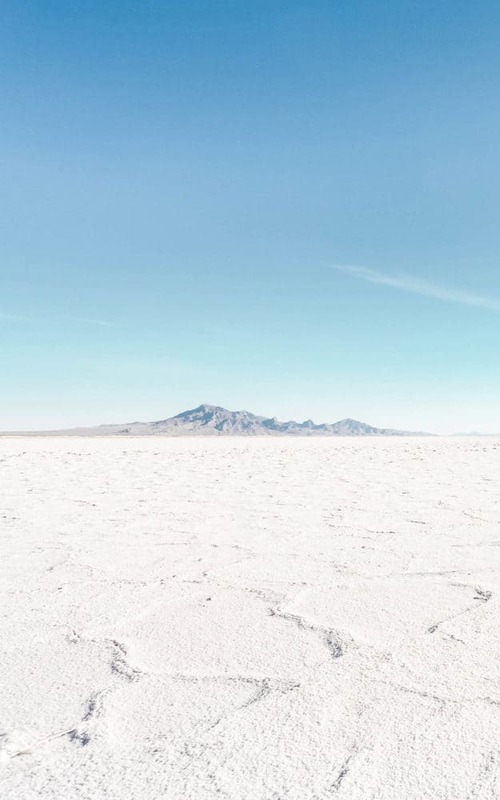 If you’re interested in adding on to your trip and you want to visit some lesser known places or photogenic areas, then you might want to look into adding the Bonneville Salt Flats or Bucksin Gulch for the ultimate Utah road trip. The map below charts out the entire road trip and I would say it will add on about 2 days total. 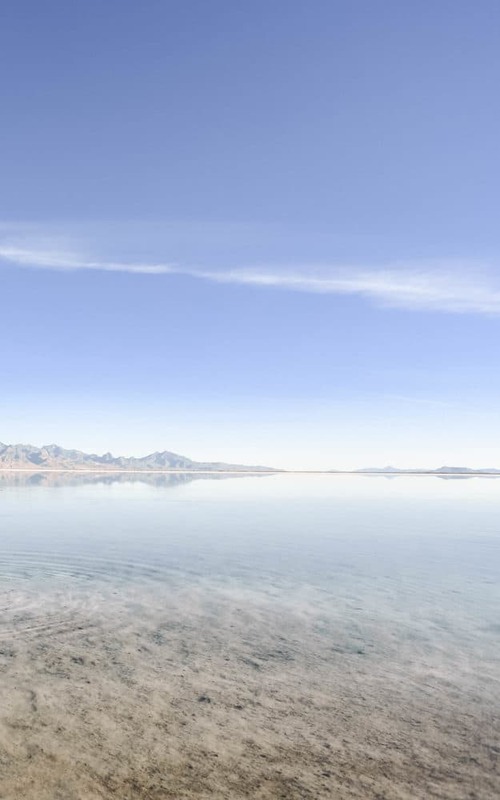 The salt flats are an easy drive from SLC. I would recommend visiting them as soon as you land. You can drive to them in about an hour and a half and then drive right back to Salt Lake City after you’re done. You can either camp or spend the night in your car (if you’re on a time crunch) or you can opt for a hotel in Salt Lake City. They are a spectacular site to visit; however, this is the only photogenic site in this area and you will be driving longer than you will be doing any actual touring so be aware of that before you plan your trip out here. Also there are no restaurants or shopping areas so you will find yourself in the “middle of nowhere” the entire time. One cool thing you will pass on the highway is the Morton salt factory. 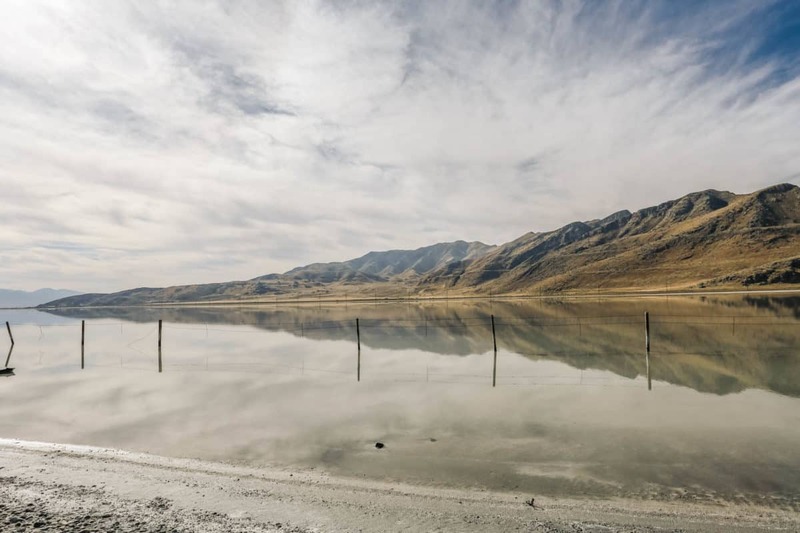 The below photos show the salt flats with water and without. 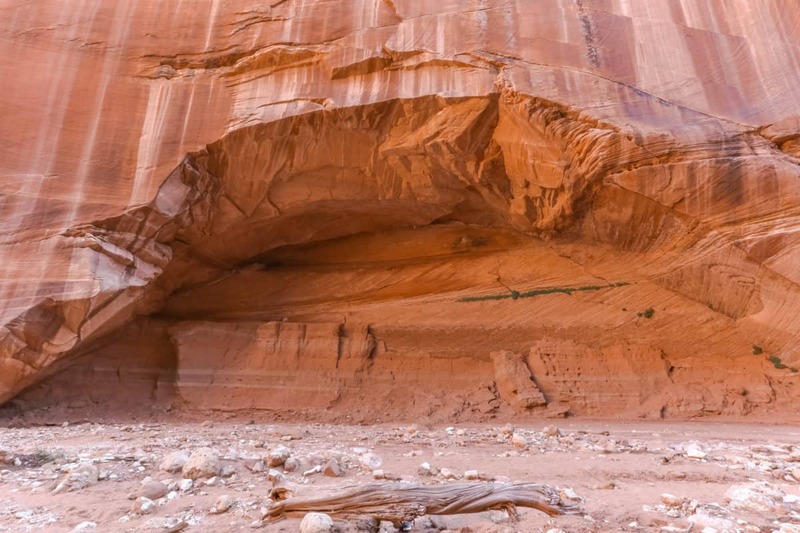 Buckskin Gulch is one of those places that even local Utah residents have never heard of. 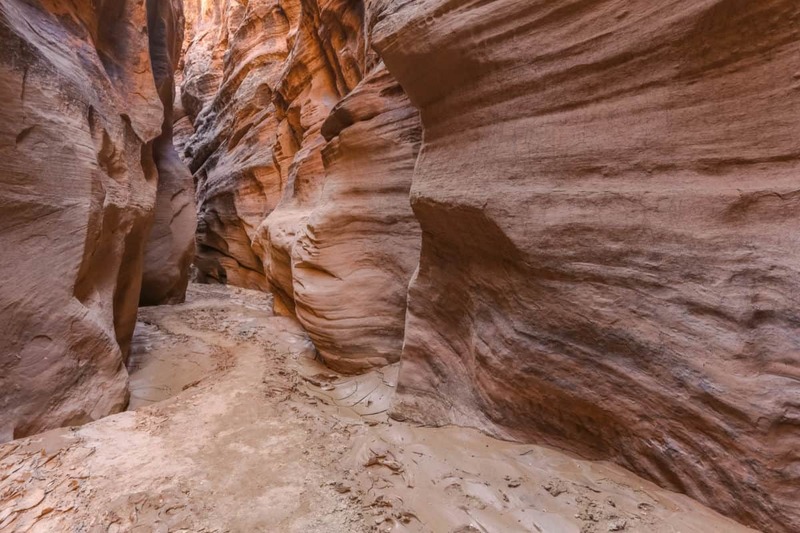 This is a much lesser known slot canyon, similar to Upper and Lower Antelope Canyon. The canyon itself isn’t quite as narrow as the famous canyons in Arizona; however, the crowds are basically nonexistent and we passed maybe 8 people along the trail. You can actually hike the entire trail but we weren’t prepared for such a hike and so we only did a portion of it. The canyon is stunning and peaceful. Buckskin Gulch and Bryce Canyon are beautiful. Nice photos. Buckskin Gulch is amazing! I can’t wait to go back. BEAUTIFUL photos! I love how you edit them as well. We just got married in Zion and did spend a day exploring Bryce. The others are definitely on our must do list when we return! Thank you!! They’re all so beautiful! 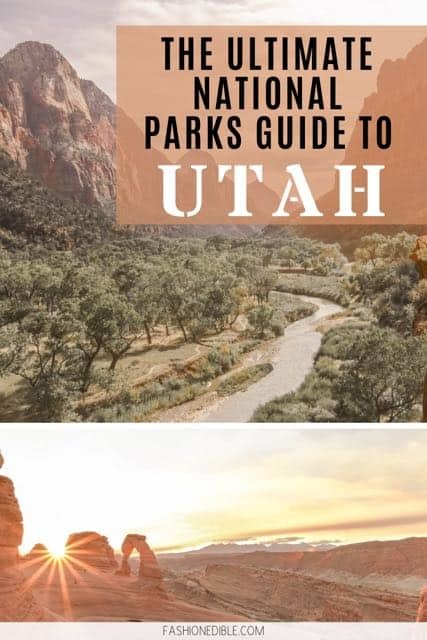 Perfect timing to read this itinerary, I’m off to Utah in the next month and wasn’t quite sure how much time to spend where so this has been really helpful! Your photos are absolutely stunning, so warm and soothing. Thanks Kirstin! You’re going to have so much fun!